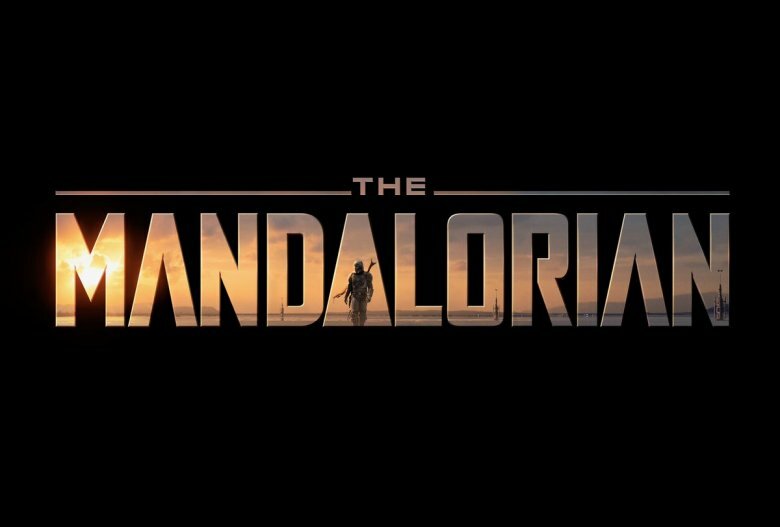 Not so long ago in a galaxy that's, well, the exact same one we're living in now… Lucasfilm unveiled all-new looks at the first-ever live-action Star Wars series The Mandalorian. During the series' panel at Star Wars Celebration on Sunday, April 14, Lucasfilm president Kathleen Kennedy, The Mandalorian writer Jon Favreau, and the series' executive producer Dave Filoni took the stage to usher in the first footage for the upcoming show, plus a batch of new photos, a heaping helping of character details, and intriguing information about the plot. Now confirmed to take place five years after the events of Star Wars: Episode VI – Return of the Jedi and ahead of when the First Order rises, The Mandalorian explores the time following the Rebellion's rousing victory over the Empire. Favreau revealed that he was inspired by Western films and Samurai movies, as well as the time of tumult in the years post-American Civil War. He was so passionate about the idea that wound up becoming The Mandalorian that he penned four scripts before he even pitched the series to Lucasfilm. Having collaborated with Filoni on the animated series Star Wars: The Clone Wars, on which Favreau actually voiced a Mandalorian named Pre Vizsla, Favreau shared his idea and the rest was "instantaneous" history. "If you look throughout history, it's fun at first, but it gets very complicated very quickly. [The Mandalorian focuses on] the idea of that world after The Return of the Jedi and what would happen and what sort of characters would survive, and what it was like until the new Republic took over," Favreau shared. "You have vestiges of the Empire. You have only the strong surviving. You have chaos taking over the galaxy." That chaos manifests with intensity along the outer rim of the galaxy — specifically the planet Mandalore, the home to the Mandalorians and the villainy who remain after the Empire falls to pieces. The Mandalorian centers on one unnamed Mandalorian, played by Game of Thrones and Narcos actor Pedro Pascal. Previously released information described Pascal's mysterious character as "a lone gunfighter in the outer reaches of the galaxy far from the authority of the New Republic," and Pascal confirmed that during the series' Star Wars Celebration panel. 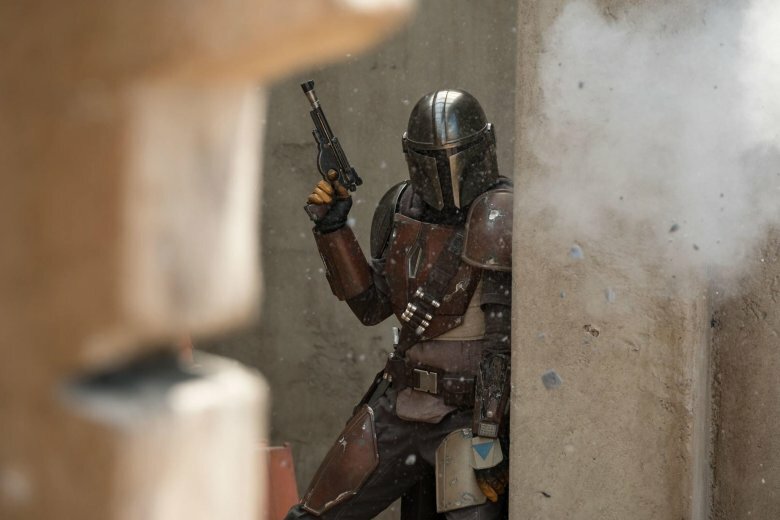 The actor also teased extra information about the Mandalorian at the forefront of the show: "Some might say he has questionable moral character, which is in line with some of our best Westerns, some good Samurai. All the good stuff. He's a badass." Until this year's Star Wars Celebration, we only knew which actors would join Pascal for The Mandalorian, but not the characters they would play. 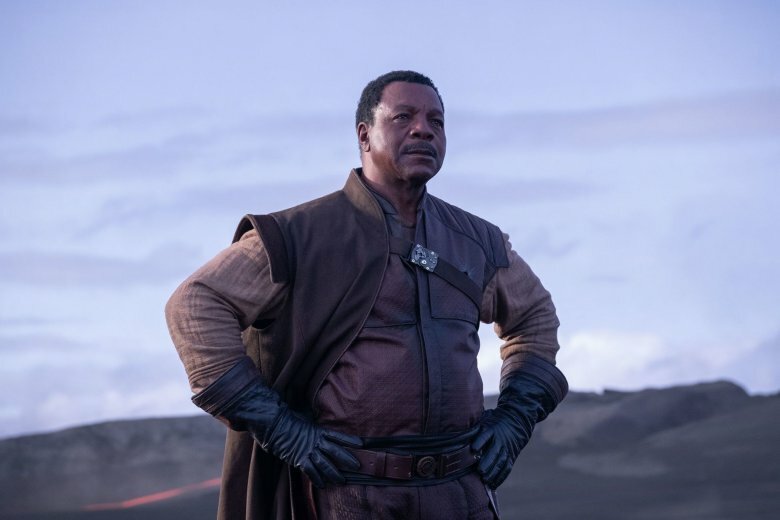 The minds behind the show didn't reveal the names of all the characters at The Mandalorian panel, but they did announce information about who Gina Carano and Carl Weathers portray. 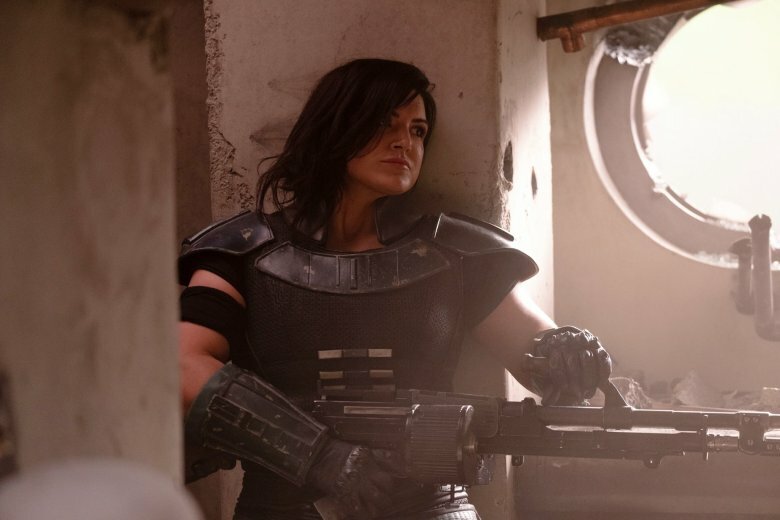 Carano, the former MMA fighter and actress known for Haywire and Deadpool, is set for the role of Kara Dune, who served in the Clone Wars as part of the Grand Army of the Republic. "She's an ex-Rebel shock trooper," Carano said, adding of her character, "I'm a bit of a loner — which isn't a far stretch — and I'm having a bit of trouble reintegrating myself into society." As for Weathers, who famously played Apollo Creed in the Rocky film franchise and Al Dillon in Predator, will portray Greef Karga, the leader of a guild of bounty hunters who forms something of an alliance with the Mandalorian. "He is a guy who is running this group of bounty hunters," Weathers said of Greef. "He's looking for someone to bring a product to a client. It's worth a lot. Guess who he finds? He finds a bounty hunter named Mandalorian … he hires this guy, sends him out there, and Mando does what needs to be done." Photos of Carano and Weathers in character as Kara and Greef flashed across the screen during The Mandalorian's presentation, as did two new snaps of Pascal suited up as Mando and the series' sleek logo. While an official trailer for The Mandalorian has yet to make its way online, the clips that were shown as part of the series' Star Wars Celebration presentation were all kinds of kickass — plenty cool enough to quench that Star Wars thirst of yours. Unfortunately, those who tuned into the live-stream of the panel didn't get to see the footage, as it was screened only to people in the room and not to fans at home. But worry not: we have the lowdown on what was shown, courtesy of iO9. Favreau and Filoni first unveiled a behind-the-scenes featurette, then rolled out the footage to Star Wars Celebration attendees. The clip opens on the Mandalorian speaking with Greef Marga, who offers him bounties, the highest of which is about 5,000 credits. Displeased with Greef's offer, the Mandalorian tells him that 5,000 credits "won't even cover fuel these days" — and Greef seems to agree, as he then mentions that there is a dangerous, more direct job the Mandalorian could take if he's up for the task. "Underworld?" Mando asks, then takes a card from Greef and walks away. Cut to the next scene, which shows one kowakian monkey lizard roasting on a spit and another inside a cage, ready to be grilled and devoured. The Mandalorian walks through the streets of an unknown city, dotted with droids and aliens and other critters, then knocks on a door adored with the same eye from Jabba the Hutt's palace in Return of the Jedi. The door opens, and a TT-8L/Y7 gatekeeper droid greets Mando and scans the card from Greef. A gonk droid then leads the Mandalorian through a hallway and into a room filled with Stormtroopers. Inside, sitting at a table, is a man who appears to be their leader: the character played by Werner Herzog. He tells Mando that he knew he was coming, and that Greef has called him "the best bounty hunter in his parsec." Another door opens and a man, portrayed by American Gods actor Omid Abtahi, enters. Mando draws his gun on the man (partially because he's surprised and partially because the reaction is a force of habit), who quickly explains that he's a scientist. The Stormtroopers pull their weapons on Mando as he flashes his gun, and none of them back down. "We have you four to one," one Stormtrooper says. "I like those odds," Mando quips back. When the standoff ends, Herzog's character hands Mando a piece of beksar, the super-strong alloy the Mandalorians craft their armor out of. "Go ahead, it's real," he says, explaining that Mando will get more money if he delivers the mark alive. If the bounty dies, that indicates Mando has failed the mission — which Herzog's character apparently wouldn't mind, stating that a dead person indicates termination of the mission and would mean a lower payment for Mando. On the other hand, the scientist states that "that's not what we agreed upon." Herzog's character then says, "I'm just being pragmatic." Mando ultimately accepts the deal, which doesn't give him a puck on his bounty but instead a FOB that tracks the target and half of an eight-digit ID number… that's 50 years old. Herzog's character also relays to the Mandalorian where the mark was last located. That information, plus the FOB and the identification number, should be enough for the talented Mando to carry out the mission without a hitch. Herzog's character then says, "It's good for beskar to be back in the hands of a Mandalorian. It's nice to restore things after a period of disarray." Cue the title card for The Mandalorian and the Lucasfilm logo. From there, the trailer evolves into a sizzle reel: there are shots of Mando getting into a fight with Kara outside a cantina, peeks at Empire bounty hunters, the Mandalorian's Razorcrest ship zipping through the galaxy, and Stormtroopers from the Empire. Herzog's character delivers a monologue over more footage, and he reportedly details how the Empire "improves every system it touches," and that the world is now filled with nothing but "death and chaos" after the revolution that brought the Empire down. Then, we see Giancarlo Esposito's character show up. Just based on the way he looks, he's a villain, flanked by Stormtroopers. He instructs the troopers to "burn them out." We get extra shots of aliens — from Twi'leks to Jawas and even a Devaronian — plus a droid that some speculate is voiced by one of The Mandalorian's directors Taika Waititi. Another character, played by Bill Burr, appears with two blasters in hand. He fires at a spaceship as another character pilots a TIE fighter. Then, the most epic moment of the footage plays out: in slow-motion, the Mandalorian smacks a Stormtrooper in the mask, then raises his gun that looks like Boba Fett's blaster rifle. 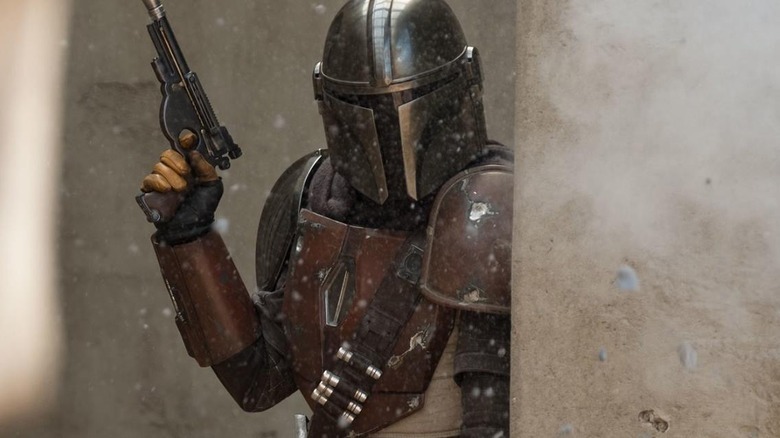 There's no telling when Lucasfilm will release the trailer for The Mandalorian, but if the footage is the same as what was shown at Star Wars Celebration, fans are in for a killer time. 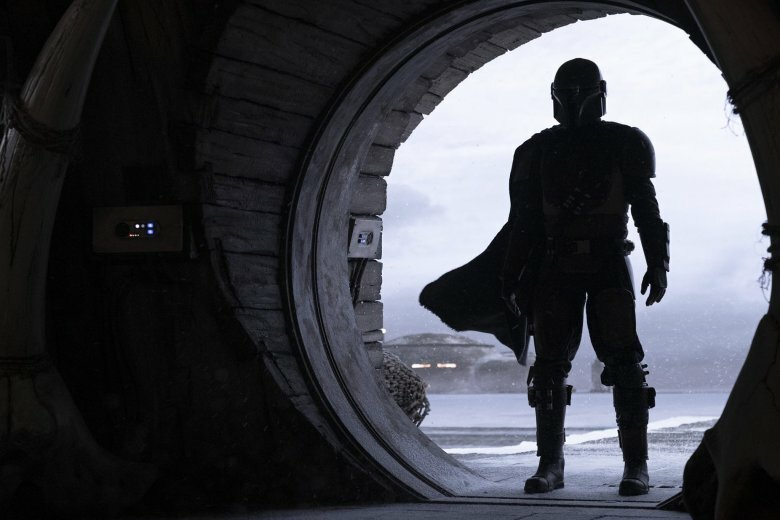 The Mandalorian is set to premiere exclusively on Disney's upcoming streaming service, Disney+, at launch on November 12.